Great innovations often occur out of frustration that a solution does not currently exist. So what do we do? Do we sit around and wait for someone to come up with an idea, and risk it falling short, leading to even more frustrating experiences? Or do we do something about it? When it comes to cycling issues, it helps if you know a thing or two about both your problem and how it’s going to be used by everyday people. Enter, Orfos and their solution to night-time cycling blues, and possibly much more. With 360 degree lighting on offer, CNET describes the device as a “force field of light around you”. For the many Jedi-wannabe-cyclists out there, this is going to be a must. Most definitely. We’ve met people who’ve had awful experiences whilst riding their bike, only to turn it around again and create something that changes the way we travel, and to some degree, saving lives. Take CycleHoop, by Anthony Lau; former architect, come cycle lifestyle/security designer, who came up with his cycle-hoop idea when his bike got stolen. 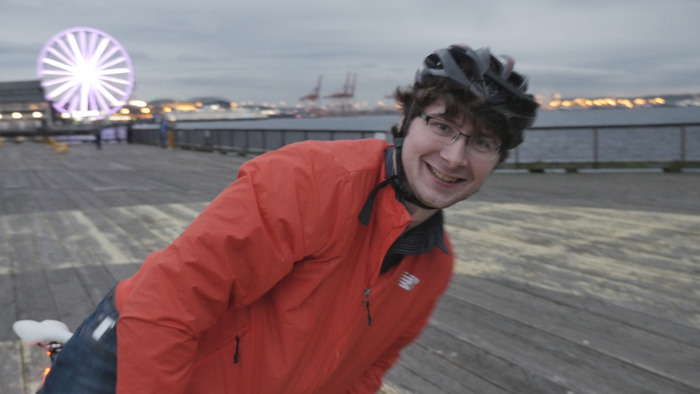 Andrew and Kingsley from Cycliq, having experienced assaults whilst on their bikes, create the Fly6 rear-facing camera/light, that save more than just our butts. The beauty of the Orfos solution is that it opens up a lot more opportunities to solve others as well. Some of us dive, and we are often lucky that conditions are crystal, but that isn’t always the case. 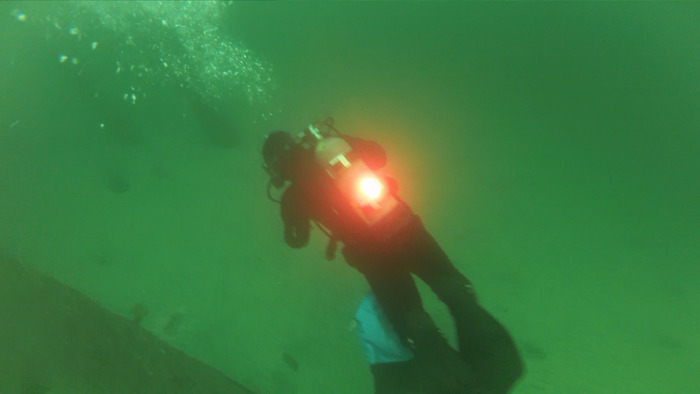 From diving, to engineering works, to filming, Orfos could provide suitable safety lighting for an array of activities. 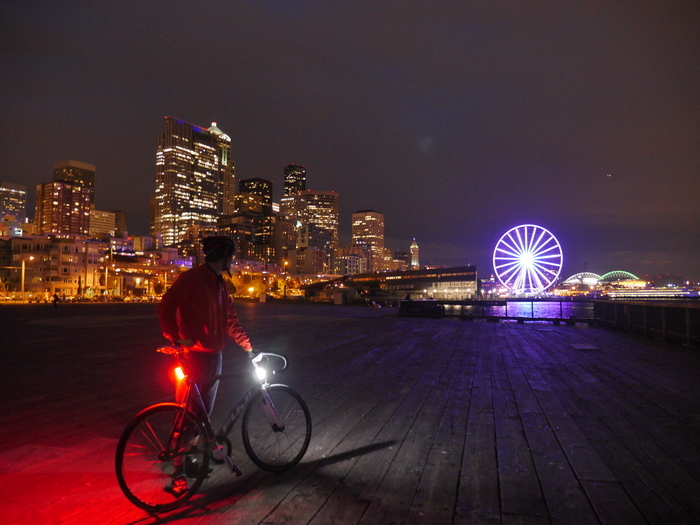 Utilizing the skills I have developed in the industry as an Electrical Engineer, PCB Engineer, and Industrial Designer, I have spent the last few years developing what I believe to be the most useful bike light available. My goal is to make the world a safer place. Orfos will make that happen for cyclists. With a whopping result on Kickstarter, Peter is already sold out on his website. Let’s hope his hands are speedy enough to share his ideas to us across the pond. All the best, Peter. The Orfos is with you! Peter Clyde. The man behind the Orfos force. The club does not have any involvement with Peter, nor Orfos. We simply like the idea.